Bookmarks are very helpful to us when we want to revisit a website again. Suppose you are searching through the web and you liked a website or some content. Now if you are going to visit that website again or browse that article again, then you will obviously need to bookmark it. So every Mac, Windows and Android users always love to bookmark their favorite things to revisit them later. But accidentally deleting them or losing them is never good for anyone. If you are an iPad user and your iPad safari bookmarks have disappeared then there is no need to panic anymore. By reading this article, you will learn how to recover bookmarks in safari iPad in 4 ways. You will become an expert to recover deleted bookmarks safari iPad. So stay tuned till the end. If you want to recover deleted bookmarks of safari in iPad then the best way is by scanning your iPad with a working tool. iBeesoft iPhone Data Recovery is such kind of tool that can help you to recover lost data from iPhone, iPad and iPod touch, iTunes and iCloud backup files. This is a one of a kind iOS data recovery solution that has so many options for everyone. It has 3 recovery modes that ensure 100% successful safari bookmarks recovery and scanning your iOS device is the first mode of this software. 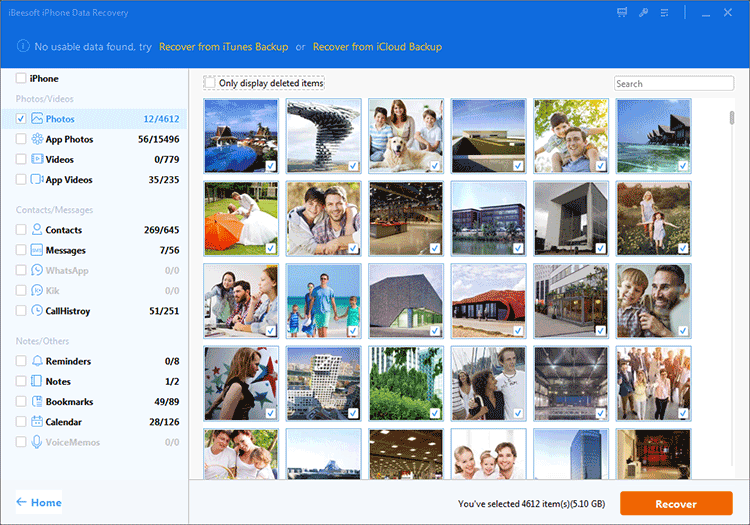 It can recover more than 20 file types like photos, videos, contacts, messages, Call history, notes, and more which is a huge advantage for you. Here is how you can recover bookmarks in safari iPad. Step 1. Download and install the software on your PC and run it on your computer. Next, you can connect your iPad into your computer by using a good quality USB cable and choose the "Recover From iOS Device" option from the main interface. Then you need to choose your iPad and click on the "Scan" button to go to the next step. Please respond to tips that may appear on your iPad, like "Trust this Computer" click "Trust" to start the backup. Step 2. After the scanning process is finished by the program, it will display all the files that are available to recover from your iPad. You can easily preview and select the files that you want to recover from here. As you want to recover deleted bookmarks in Safari, you need to choose the "Bookmarks" and click on the "Recover" button to Safari bookmarks recovery on iPad. Within a few minutes, the program will complete recovering all your Safari bookmarks from your iPad. Many users ask a common question like this – "How do I get my bookmark back on iPad?" If you want to restore safari bookmarks in iPad from iCloud then you need to follow this method. Everyone backs up their browsing data and bookmarks on iCloud regularly. 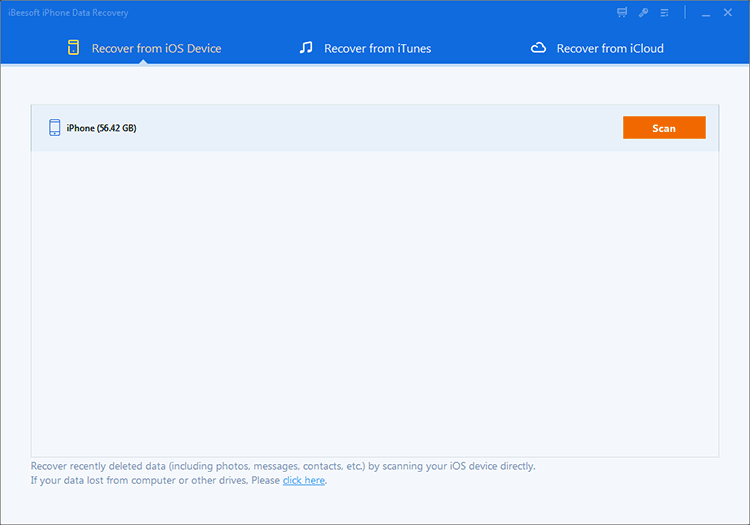 So if you have already backed up your bookmarks on iCloud before, you can easily get them back by using iBeesoft iPhone Data Recovery. Here is how to do it. Step 1. 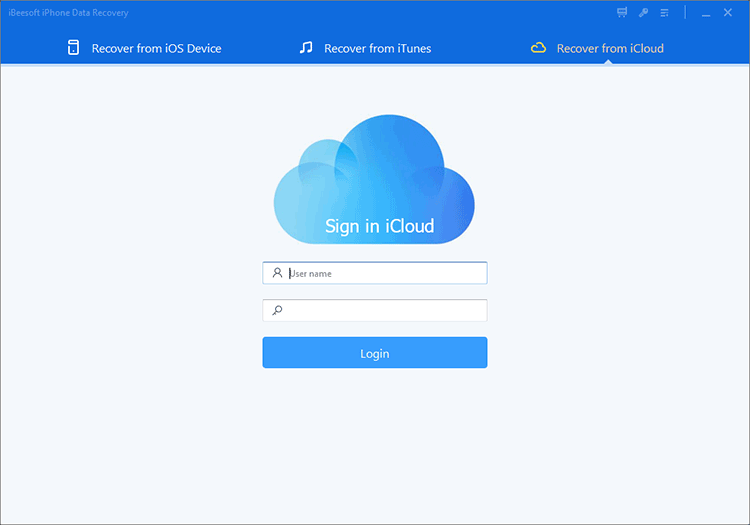 First, you need to run the software on your computer and go to the "Recover from iCloud" tab to sign in to your iCloud account by using your Apple ID credentials. Step 2. After you log into your iCloud account, all the iCloud backups that are already done from this account will be listed in front of you on the computer. Select the latest iCloud backup that contains your Safari bookmarks and click on the "Scan" button to go to the next step. Step 3. After the scanning finishes, all the data will be displayed in front of your from that backup file. You can select and preview any file you want to recover and click on the "Recover" button to finish the process. If your iPad safari bookmarks disappeared without any reason, then you can easily get them back from iTunes backup by using iBeesoft iPhone Data Recovery software. 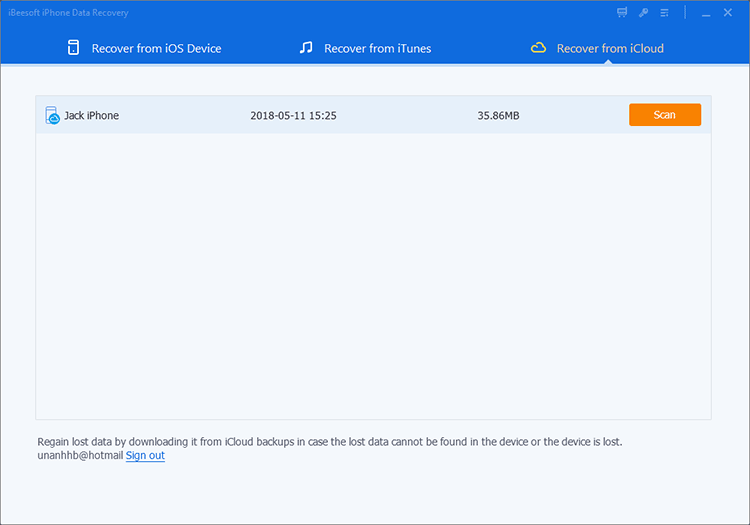 It’s really easy and similar to the previous method with the iCloud backup file. So just follow the below steps to do it properly. Step 1. First, you need to start the data recovery program on your computer and choose the "Recover From iTunes" tab from the main interface. Then select a backup file from the list of all the iTunes backup files that are available on your computer screen. Choose the latest backup file that contains your Safari bookmark and click on the "Scan" button to go to the next step. Step 2. After that, the software will completely scan the selected backup file and it will display all the files inside that backup file on the computer screen. You can choose and preview the files that you need to restore from here. You will be able to see all the file types arranged for you to choose from the left panel. Now you need to select "Bookmarks" under the "Notes/Others" tab and click on the "Recover" button to finish the process. This is a common method but it’s not recommended because it will erase all the data from your iPad. So unless you want to lose all your data from the iPad, you can try using the previous methods instead of using this one to recover deleted bookmarks from safari iPad. If you still want to know how to restore iPad bookmarks from iCloud, here is how to do it. First, you need to go to the "Settings" menu and select "General" and then tap on "Reset". Now choose "Erase all content and settings." Option to proceed. Next, you need to tap on "Restore from iCloud Backup" and sign in to your iCloud account. Finally, select the iCloud backup file that contains the Safari bookmarks on iPad to restore it on your iPad. Recovering deleted bookmarks in safari iPad is easy when you have the perfect software to use and a good guideline to follow. Thanks to iBeesoft data recovery software, you can easily recover bookmarks in safari iPad. Also with the help of the 4 useful methods of this article, you can easily learn how to recover bookmarks in safari on iPad, iPhone and iPod touch. So there is no need to be worried about your Safari bookmarks anymore, iBeesoft iPhone Data Recovery has got you covered.